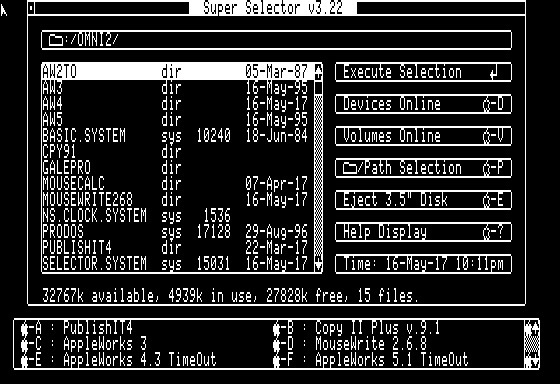 Here is my OmniDisk 32 MB HardDrive in Virtual II. This Super Selector is a pretty nice text based Launcher. It has Quick-Keys you can set up. 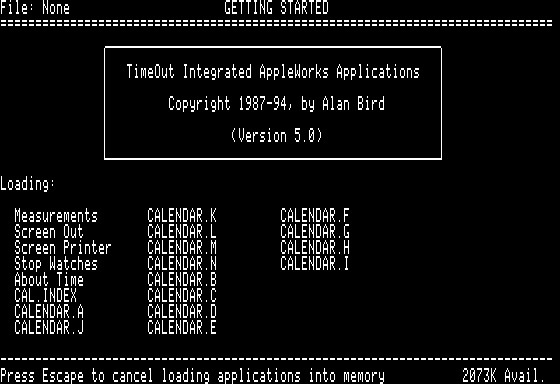 You can see Closed-Apple-F is for AppleWorks 5.1. There’s an extra step to setting up the Quick-Keys which isn’t noted in the process. Easy, once you know. I’ll post the Steps at the End. Time stamps finally showing up. 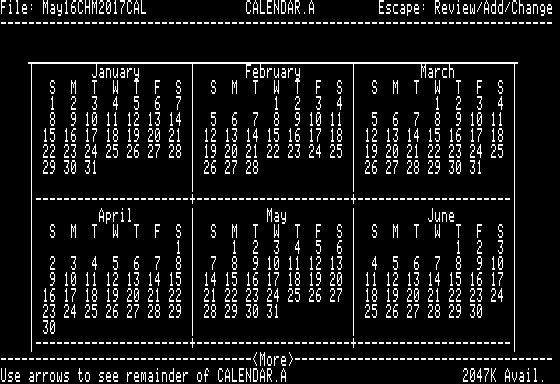 Also, I grabbed the TimeOut TO.ABOUT.TIME application (from link at top) because it has yearly calendars for every year. It turns out there are 14 types of years. The Calendar.A turns out to be 2017. 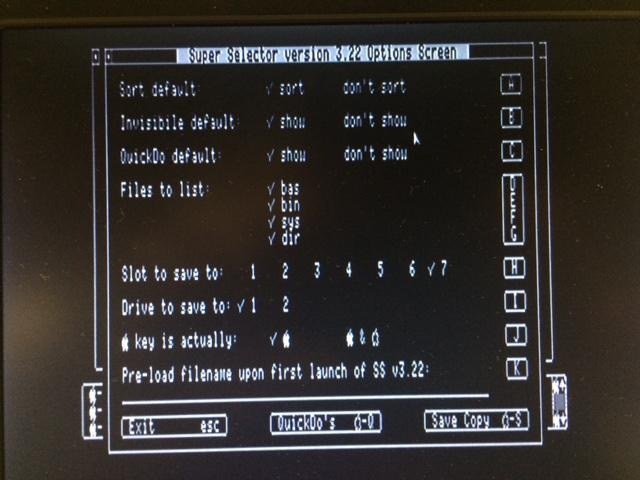 I’ve been working with the Super Selector v3.2.2 on the Hard Drive (Virtual and Real) on the Apple IIe. I wanted to change some of the “Quick-Keys” which startup programs you assign to them. It turns out the entry of the information is easy. However, the saving your entry process is has an extra step not noted in the screens process. Quick-Key Setup. 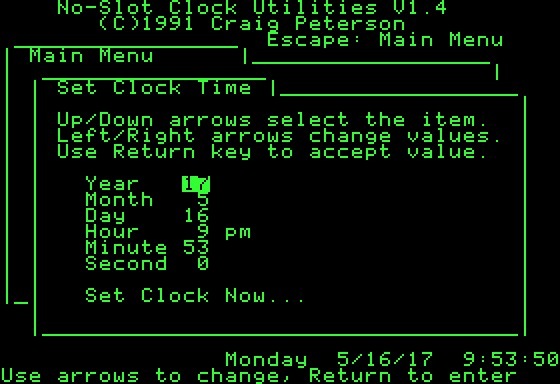 1) You use the Open-Apple-Q to bring up the Menu of Quick-Keys. and hitting the Return Key. This brings up the edit menu for that item. 4) Then you select Open-Apple-A to Accept. 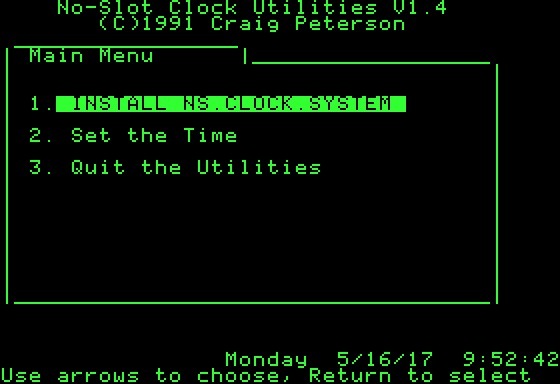 Apple-O to go to the Options Screen and then c) you save permanently with Open-Apple-S. You’ll see the box blink a little. [ Super Selector 3.2.2 ]. Not only are you saving the Quick-Key you just Setup, but also the location. 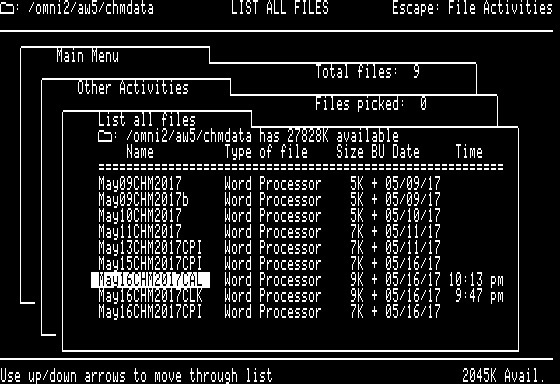 In my case I run from a Hard Drive (OmniDisk in the Emulator as well as SCSI Drive in real lle) so Slot 7 Drive 1 is the selection. When you use Open-Apple-S to Save the Config you’ll see the Box with “Save Copy” change to semi-solid background until save is completed. 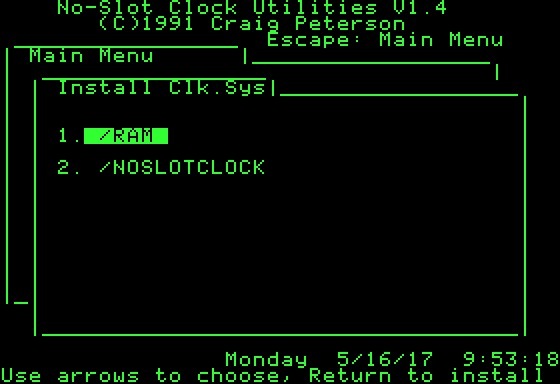 You are currently browsing the archives for the No-Slot-Clock category.